The Multilateral Investment Fund of the Inter- American Development Bank (IDB) and The Economist’s Intelligence Unit recently published their inaugural Women’s Entrepreneurial Venture Scope (WEVenture Scope) report, which ranks twenty countries in Latin America and the Caribbean based on their business climate for women entrepreneurs. “Women entrepreneurs in Latin America and the Caribbean are potentially one of the greatest underutilized resources in the region,” the report finds, noting that over the past twenty years, more women in Latin America and the Caribbean have become active in the workforce, which has spurred economic growth. 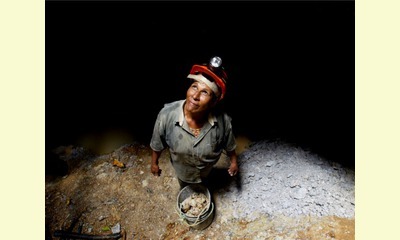 According to the report, Latin American women’s growing incomes led to a thirty percent reduction in extreme poverty from 2000 to 2010. The report’s authors suggest that this reduction would be even more dramatic if there were more female entrepreneurs in the region. 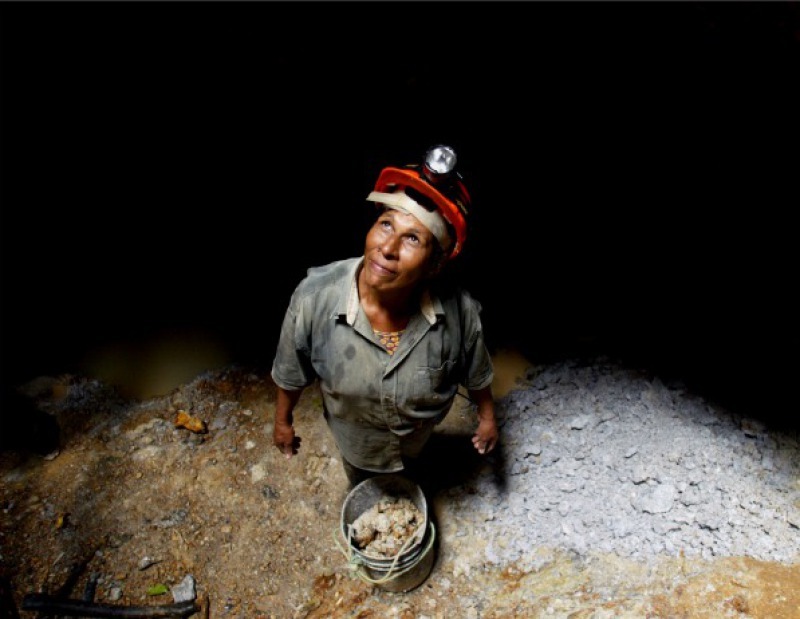 A female small scale gold miner working in Nicaragua, 2006 (Courtesy Reuters/Oswaldo Rivas). Despite mounting evidence that empowering businesswomen has widespread economic benefits, however, their social and economic potential remains largely untapped. The WEVenture Scope report shows that because women in Latin America and the Caribbean are unable to access the capital, resources, skills, and networks that they need to develop their businesses, many female-run microenterprises cannot grow into the small and medium enterprises (SMEs) that drive countries’ job-creation and economic growth engines. In addition, over half of the women entrepreneurs surveyed in Latin America and the Caribbean participate only in the informal economy, leaving them more vulnerable to corruption and further limiting their access to financing. The barriers facing women entrepreneurs in Latin America and the Caribbean are hardly unique to the region. In its 2012 Women’s Report, the Global Entrepreneurship Monitor (GEM) showed that although women’s participation in entrepreneurship differs across regions, there are still fewer women than men entrepreneurs in almost every country. The exceptions: Panama, Ecuador, Mexico, Thailand, Nigeria, Ghana, and Uganda. In fact, studies have shown that women in Latin America and the Caribbean are more likely to pursue entrepreneurial activities than their peers in almost any other region of the world. GEM data shows that twenty-seven percent of the female population in Sub-Saharan Africa and fifteen percent in Latin America and the Caribbean are engaged in entrepreneurship, but women’s entrepreneurship rates in the Middle East, North Africa, Europe, and Asia barely reach five percent. The GEM report highlights a number of factors that could contribute to the low rate of female entrepreneurship worldwide. For example, women usually start their own businesses out of economic necessity rather than opportunity and frequently have less confidence in their entrepreneurial abilities than their male counterparts do. The report’s authors stress that these challenges need to be put in context, noting that gender disparities have cultural and institutional roots, given that entrepreneurship is often a male- dominated field with few female role models. Still, women entrepreneurs continue to play a growing role in economic growth. As of 2012, there were more than 126 million women around the world starting or running their own businesses and an additional 98 million leading established businesses. Many of these women-led businesses employ women as well as men, and more women entrepreneurs enter markets every day. With fewer barriers in the forms of access to capital, markets and networks, those numbers should climb even higher. This report was posted on August 26, 2013.